Manchester United have been linked with numerous top quality center halves and once again, the name of Toby Alderweireld is in the lime light. According to an exclusive report covered by The Sun, the Tottenham star has got a release clause of £25million in his contract, which will come into effect at the start of the summer transfer window and United are prepared to pay that sum to secure his signing. The former Atletico Madrid defender missed majority of the games in the last campaign due to a hamstring injury. However, this season, so far, he has been fully fit. I think that in today’s market, a top central defender (in his prime) is easily worth over £50million. Last year, Liverpool signed Van Dijk for £75million (The Guardian). As per recent reports (The Daily Star) Leicester City’s Maguire could be worth £90million. Alderweireld turned 30 last month but the Belgian international has proved his worth under Pochettino and he is still one of the best defenders in the Premier League. So, in my view, it would be a huge coup if Solskjaer can get his signing done for just £25million. However, at the mentioned price, United could face competition to hire his services. In the current campaign, the Old Trafford club have been highly inconsistent at the back. So far, in 32 league fixtures, the Red Devils have already conceded 43 goals. Things have improved since the departure of Mourinho but it is evident that United need a quality center half to lead the back-line. 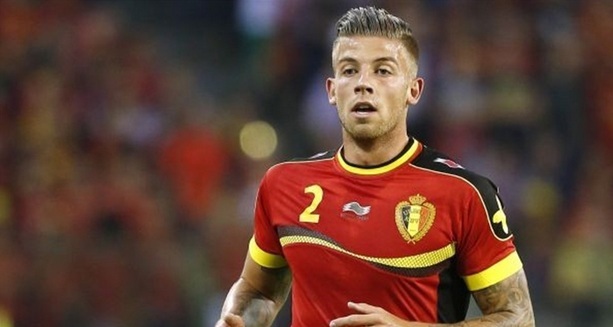 In your opinion, is Alderweireld good enough to solve the defensive conundrum at Old Trafford? Toby is arguably among the best CB in EPL, but age is speedingly catching up with him. I am of the opinion that United should however go for both Maguire and Toby for safety purpose.